Your work is in progress, now it's time to track what's happening. Easily create, run and export reports. Schedule automatically, measure and track. See your case load as a whole, inform your customers regularly of progress. Create reports, query any data within AgileCase. Create - Get a clear, detailed insight into your data through AgileCase reports. Create simple or complex reports with a few clicks, and get the information you need in seconds. Learn More. 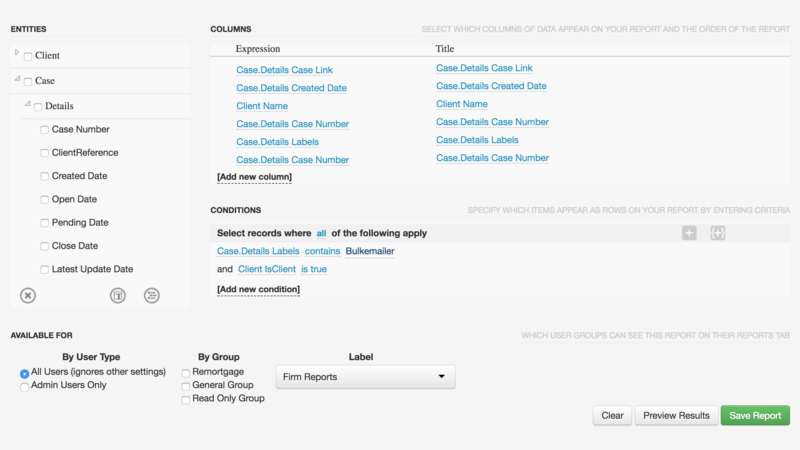 Add Criteria - Run your reports in real-time with conditions that you can supply. Learn More. Apply Security - Apply security to your reports, make sure your sensitive information is kept sensitive. Learn More. Run reports, analyse, share and export results. 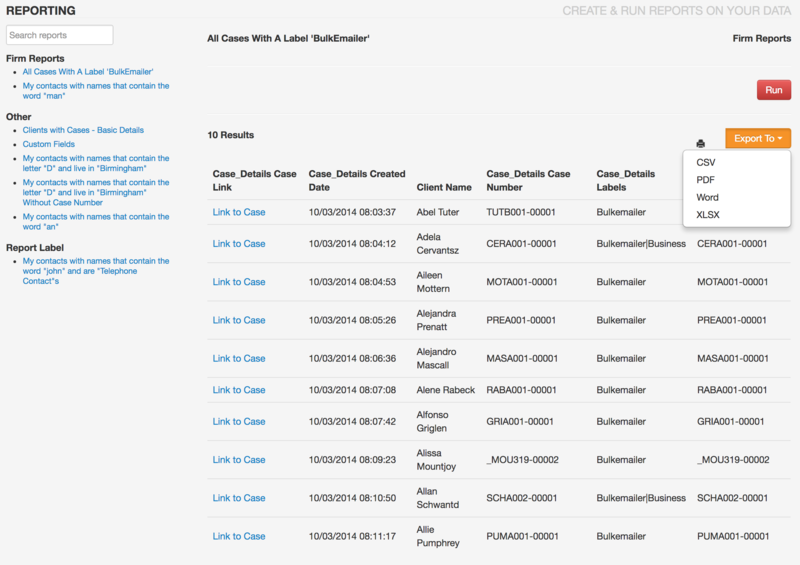 Run - Run reports with one click. Supply conditions and get results back, accurate and in real-time. Learn More. Export - Export report results in Excel, CSV, Word or PDF. Share with your users or clients. Learn More. Print - We love trees, we do!, but sometimes you just need to see your results on paper. AgileCase allows you to print your reports for offline review. Learn More. Is your case on or off track? From Start to Finish - Create sets of milestones that map to your process, link preceding actions and base everything off of the case open date. Super flexible. Learn More. Proactive Updates - As milestones approach, get email reminders and also be alerted on your AgileCase dashboard. Learn More. Review and Report - Build reports based on your Milestone data, find out where your process can be improved. Learn More. 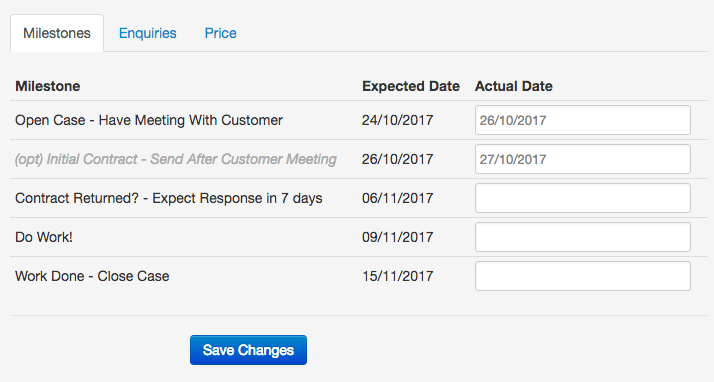 Use reports to send batch emails to customers. Set a schedule - Choose a report, choose a schedule, your report will be run automatically. Learn More. Send to a group of contacts - Send report results to an email group, get your results when you want them. Learn More. Batch email to customers - Create documents that automatically get populated with information from your cases. Learn More. "Our reports guide our whole business"
"Automatic Updates With No Effort"